In the next few days I’m going to be sending out a little “did you know” Love Letter. Among other fun tidbits that will be in that Love Letter, you may not know that I teach for the Courageous Living Coach Certification program, which is the program I graduated from in 2014. I love it. I love the trainees, the leadership team and the curriculum. I’d have to – to stick around for 6 years! Last week, our topic was trust. Like everything else the program teaches, we look at ourselves first. The most important thing about the lesson on trust is that there’s no one way to learn to trust yourself. The things that help me trust myself aren’t necessarily the things that would help you trust yourself. Huh. Interesting, right? On one hand, sometimes you just want someone to tell you what to do. I so get that. On the other hand, and the one I prefer to look at, how freeing! 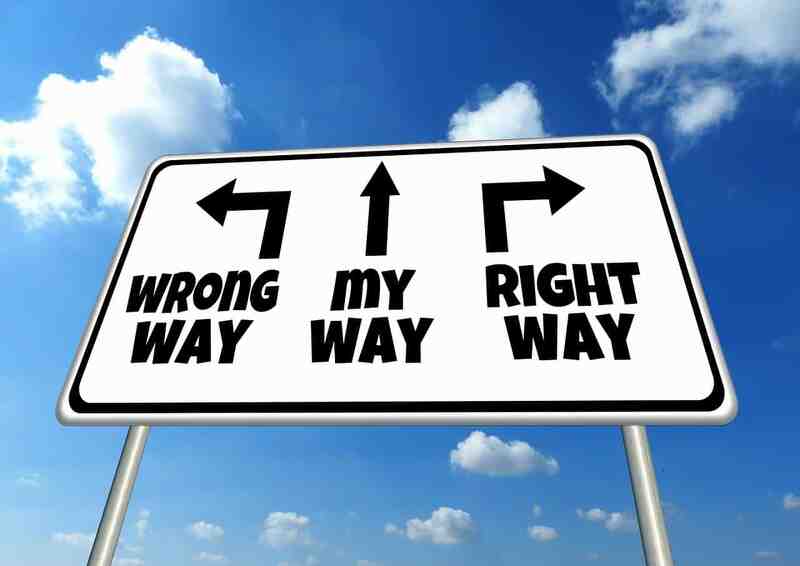 There’s not a wrong way. That means you get to release yourself from comparison. You don’t have to worry about how someone else is doing it. You can stop making yourself wrong if your process looks different than someone else’s. I’ve found this is true of more than just trust. It’s true when you’re making changes, when you’re feeling stuck and when you’re trying something new. I travel with one of my best girlfriends each year. We both love water – ocean, pool, you name it. We try to go places that have clear natural water and inviting pools because we want to spend a lot of our time in water. That all seems pretty aligned, right? Right! Here’s where we differ. When we get to the water, she runs straight in or dives into the deep end. I ease my way slowly into the ocean, or walk down the steps gradually into the pool. NEITHER OF US IS WRONG! We both end up in the water and we both love it once we’re in there. Just because she dives into the deep end and I walk in gradually doesn’t take away from our mutual love of the water. The same is true for you. Maybe you’re ready to make a professional move and you immediately start networking and putting yourself out there. Maybe you take some time to get your resume together more slowly. Neither of those things is wrong, even if someone else has a different process. The more you can lean into your own process, and working WITH it, instead of making it wrong because it doesn’t look the way you think it “should,” the faster you start to build trust in yourself. And hey, who doesn’t love a little less time spent in the comparison trap!